Vacant homes are a tough sell! They come across cold and uninviting, and leave buyers confused as to proper function and layout. 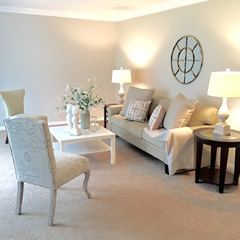 Vacant home staging is our specialty! We work with successful investors / 'flippers', as well as individual homeowners, who know that in any economy a 'staged' home will bring a larger return on their investment than one left vacant and having multiple price reductions. Our inventory of unique items take it up a notch from the standard rental fare. Furniture / accessories / window treatments / linens, etc. - are all included. We will meet with you at the property to discuss your particular needs. 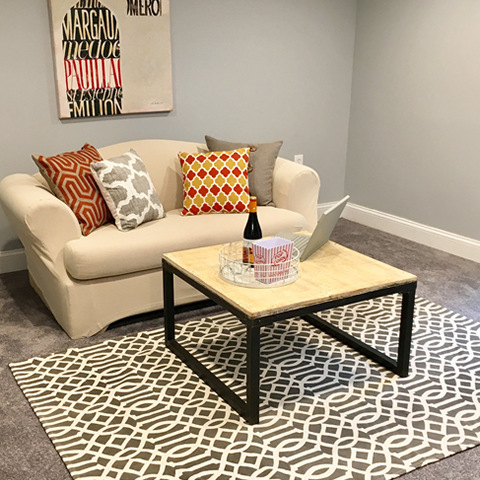 Staging can be completed in as little time as one week! I am a real estate investor and have worked with Joan several times over the past year. She has staged a total of four of our houses and each one was done to perfection! It was always interesting to see how she saw houses differently and would stage accordingly. Joan was always prompt, professional, and honest. 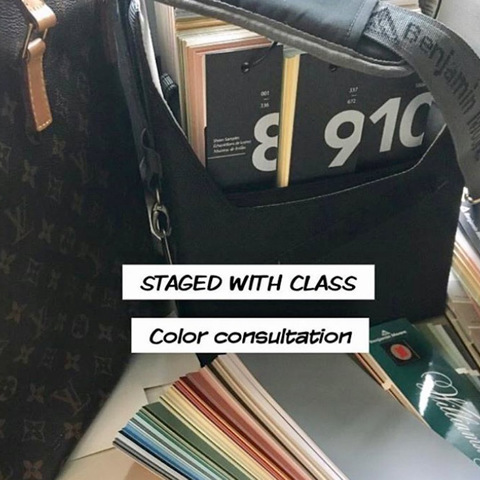 She would even offer suggestions on the best paint colors to use and how to change a layout. 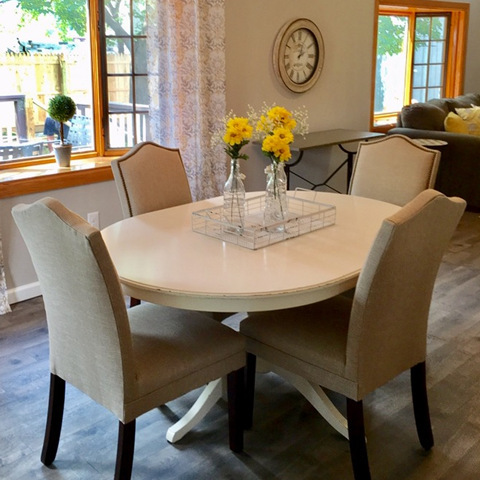 I would definitely recommend Joan to anyone looking to stage their home! 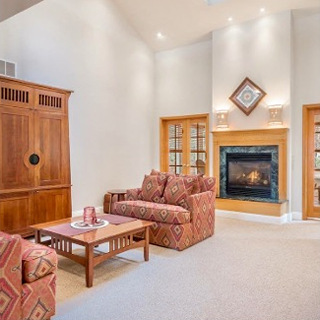 Joan is a true professional and truly has a keen eye for design and staging. She shared her vision with me and was willing to also hear my ideas. She puts a design togther like pieces of a puzzle and does not miss any of the details. 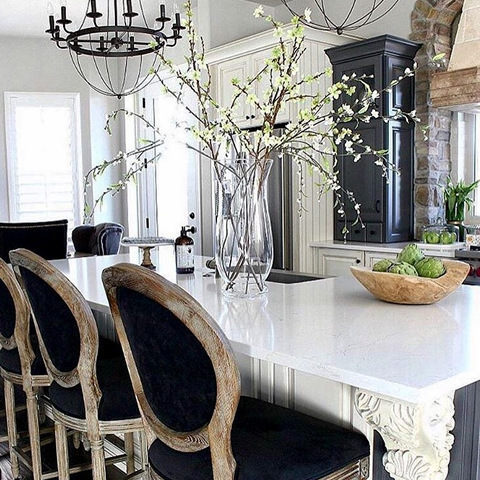 All of her small accents added up to an unbelievable design that absolutely blew us away. Our photographer commented on how many houses he sees in his travels and how ours was the nicest out of all in terms of design. Joan was easy to work with and had a great team of movers and an assistant. I would not hesitate to use Joan again on all future projects. This is why you stage vacant homes "Alot of times, people don't know what they want until you show it to them." Don't have the time or desire to stage yourself? 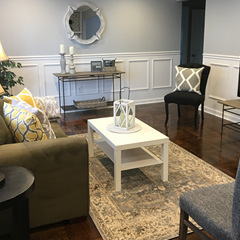 After completion of a home staging consultation, SWC will stage your home using your existing furniture and décor where possible. Items may be rented for a low monthly fee as necessary. 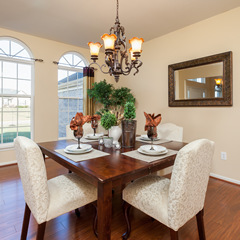 Staging will be done to appeal to today's discerning buyers in a style appropriate to your home's décor and price point. Joan worked with us to help us successfully sell our home. It was the second time we listed the house, and we decided to hire a professional stager. 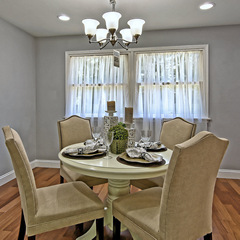 We selected Staged with Class to provide consultant service. Joan gave us a list to complete to get the house ready. We bought into the concept and decided to follow it through to the letter. The list was daunting, but we did complete. Throughout the process, Joan responded each and every time we asked a question or requested clarification. She also made additional suggestions as we shared pictures of rooms we had completed. The house was photographed and as we reviewed the pictures we were able to see how Joan's expertise and vision was right on track. The best news is we sold the house to the second couple that came through our home at our full asking price. 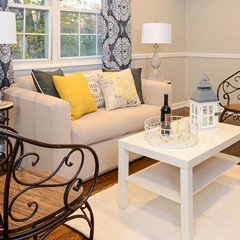 Definite affirmation for us that hiring Staged with Class was the right decision for us. Your ideas are awesome!! I love seeing your vision come to life--kudos! I love all of your suggestions; you have a great knack. 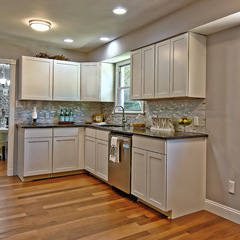 Not moving, but want a fresh, updated look for your home? SWC will visit with you and provide helpful suggestions using your own furniture and décor where possible. 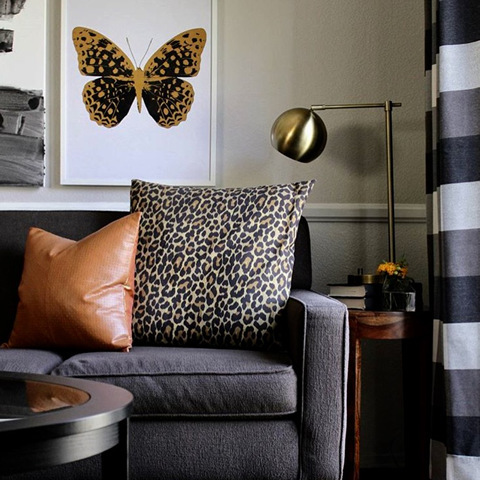 We will make changes as desired by moving furniture and 're-purposing' items and rearranging artwork and accessories. 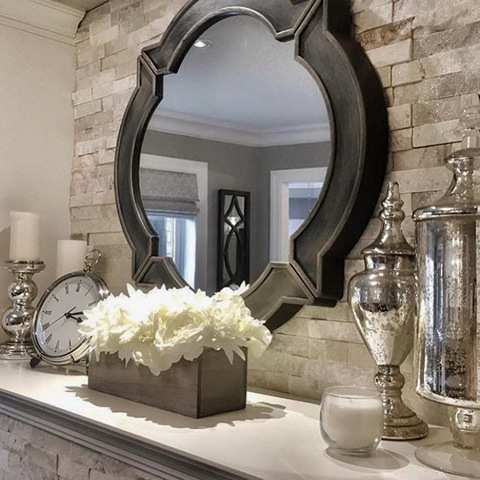 Recommendations will be made for any items to be purchased that we feel would help bring your home's décor up to date and help you fall in love with it all over again! SWC does a walk-through of the entire property, inside and out, looking at everything from curb appeal to wall color and furniture placement, making recommendations as to what changes and updates need to be made. All suggestions keep in mind what will achieve the greatest impact and 'bang for your buck'. We will discuss your goals and address any questions you may have. 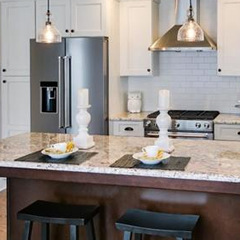 Every recommendation will help prepare your house to show well on the MLS and sell quickly! I just wanted to reach out & say thank you for all of your advice. I truly believe it was your advice that got our house sold so quickly. It was on the market a total of 54 days. The first few weeks felt like nothing was coming in and then on the 3rd of the month about 3 weeks into it you came and gave your advice. I followed through with as much as I could. 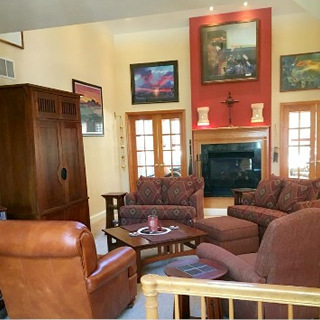 We put up new pictures on the listing within 3 days & the calls started coming in instantly. Well the offer came in on the 25th and we are in the attorney review phase now & couldn't be happier with the price that we got especially after the house went into a bid war :) Yes, that's right 2 determined buyers after seeing no action!!! So once again thank you very much, I couldn't be happier with our decision to invest in the services of your company!!! 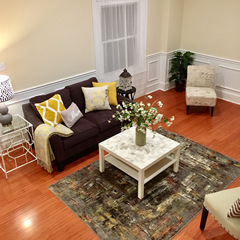 Sincerely, Frank & Cheryl C.
Staged With Class is the premier home staging company in southern New Jersey, since 2009.